SINGAPORE, 2018-Mar-30 — /Travel PR News/ — Oakwood Worldwide, wholly owned by Mapletree Investments (“Mapletree”), today announced the upcoming opening of their second property in Ho Chi Minh City, District 7. Set to be operational in April 2018, Oakwood Residence Saigon, the first Oakwood serviced apartment developed by Mapletree in Vietnam is part of the Saigon South Place. “Mapletree is proud to launch our first Oakwood-branded property in Vietnam, and the second in Asia Pacific that we built after acquiring Oakwood Worldwide.This move is part of our wider business strategy to bring the reputable Oakwood brand to global markets. We intend to step up the development and acquisition of serviced apartment assets in markets globally which have growth potential for serviced residency and corporate housing to be managed under the Oakwood brand,” said Mr Chua Tiow Chye, deputy group chief executive officer, Mapletree Investments. 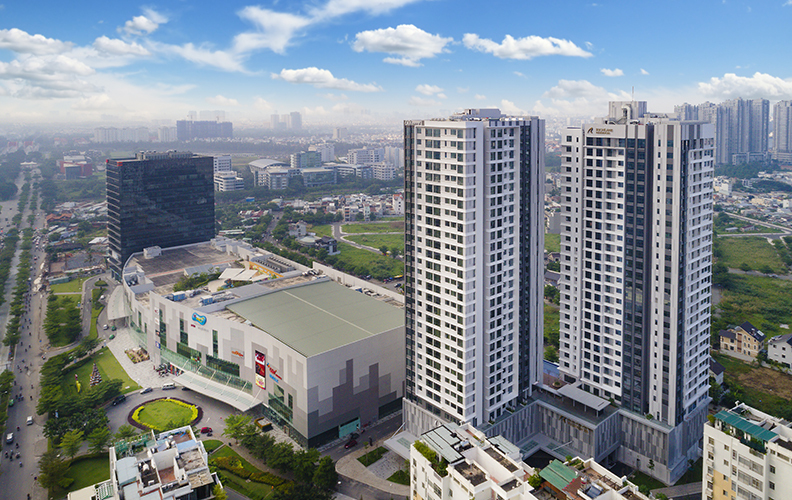 Saigon South Place is a 4.4-hectare integrated mixed-use project master-planned and developed by Mapletree. The development comprises SC VivoCity, a 64,250 sqm shopping mall, Mapletree Business Centre, a 17-story Grade A office tower, Oakwood Residence Saigon and a high-rise residential block RichLane Residences. There are also plans for two more commercial towers in the precinct. “Vietnam has been experiencing robust economic growth and with international arrivals and domestic travel expected to continue on a growth trajectory, it is an opportune time for us to grow our presence in the country” said Dean Schreiber, managing director, Oakwood Worldwide in Asia Pacific. The gateway to the Mekong Delta provinces, Ho Chi Minh City observes the highest tourist numbers in the country, and international arrivals into Vietnam are expected to reach 20 million by 2020. Domestic travel has also seen a 15% increase with expected continued growth. Preceded by Oakwood Apartments Ho Chi Minh City, which opened in December 2016 in District 3, Oakwood Residence Saigon is located in the city’s fast growing urban center of Phu My Hung in District 7, and adjacent to SC VivoCity and Mapletree Business Centre. In the heart of an affluent neighborhood with a prominent expat community, the serviced residence is within close proximity to numerous international schools, a hospital, as well as retail and dining options. Guests at Oakwood Residence Saigon can also easily access the Central Business District, industrial zones as well as the Saigon Exhibition and Convention Center (SECC). Boasting 237 units ranging from studios to three-bedroom apartments, Oakwood Residence Saigon offers guests fully furnished serviced apartments for both short and long stays. An ideal residence for families and groups, facilities include an outdoor swimming pool, fitness center, children’s playground, barbeque pavilion, residents’ lounge, car park, an on-site restaurant, as well as versatile multi-function meeting rooms. Set to open in April 2018, Oakwood Residence Saigon is offering a 10% discount off reservations made before 30 June 2018 with a minimum stay of one month. For short stays, guests can enjoy 15% off Best Flexible Rates for stays between 2 April to 30 June 2018. This entry was posted in Hospitality, Hotels, Travel, Travel Management, Travel Services, Travelers and tagged Dean Schreiber, Mr Chua Tiow Chye, Oakwood Residence Saigon, Oakwood Worldwide. Bookmark the permalink.